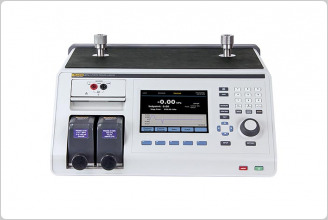 The Fluke Calibration 2271A Industrial Pressure Calibrator provides a complete, automated pressure testing solution for calibrating a wide variety of pressure gauges and sensors. Thanks to its modular design, it can be configured to meet different needs and budgets, and expanded to cover a broad workload. The 2271A is compatible with modules at two different accuracy classes, to provide maximum flexibility in workload and budget. The PM200 modules provide 0.02% FS for most ranges (see specification tab for details). The PM500 modules provide 0.01% Reading, allowing the 2271A to be used to test or calibrate higher accuracy transmitters and digital gauges. 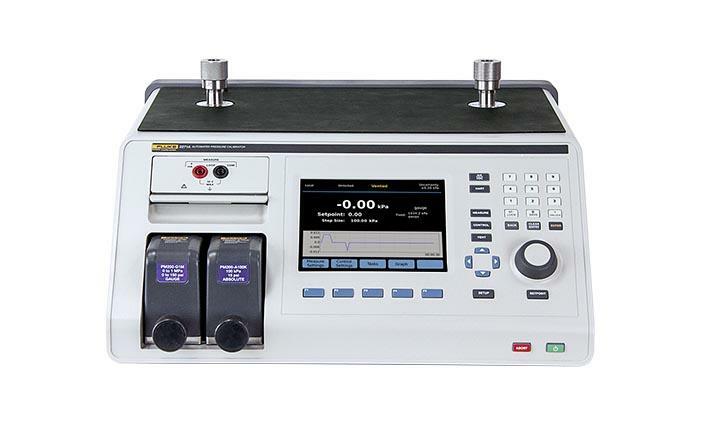 The 2271A is ideal for calibration laboratories starting out in pressure calibration because it offers wide pressure measurement capabilities in a single instrument. 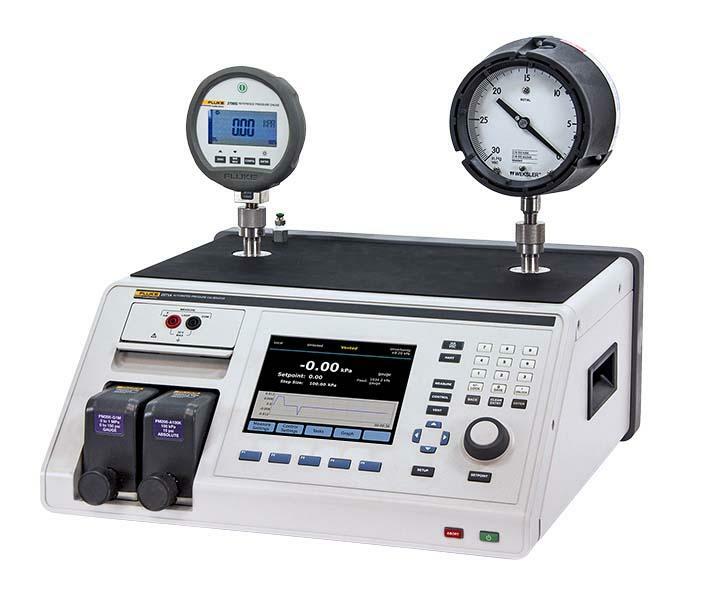 Everything you need for calibrating pressure is included; just connect supply pressure. And your investment will stand the test of time: as your workload grows and changes, the 2271A can grow and change too. Just add measurement modules. The 2271A automated pressure testing solution is also a great fit for labs that currently calibrate pressure transmitters and gauges and want to expand their capabilities or make their processes more efficient. This instrument is easy to set up and use, so you don’t have to reserve it for your most experienced technicians. The built in electrical measurement and programmable tasks provide full automation, helping your lab run more efficiently. If you are concerned about contamination from workload coming in from the field, the 2271A is a good choice for you as well. Its optional Contamination Prevention System (CPS) provides an important safeguard against that pervasive hazard. A graphical user interface in your choice of ten languages and an intuitive menu structure, as well as an intuitive hardware design, make the 2271A remarkably easy to learn and to use. The 2271A features pressure ranges from -100 kPa to 20 MPa (-15 to 3000 psi), which covers the requirements of a wide range of gauges and sensors. Thanks to its modular design, the 2271A enables you to install two modules with different measurement ranges within the same chassis. You can purchase modules to match your current workload now; later, when your workload changes and grows, you can easily add ranges, swapping modules in and out according to your workload. This flexibility enables you to maintain your investment in the 2271A for years to come. A built-in electrical measurement module (EMM) with HART capabilities enables you to perform closed loop, fully automated calibration on 4-20 mA devices such as smart transmitters, gauges and switches. Just set up the 2271A and then walk away to attend to other tasks. The EMM supplies 24 V dc loop power for measuring mA and V dc. It has a built-in 250 Ohm resistor that can be toggled on or off, eliminating the need to have an external resistor to enable HART communications. The 2271A accuracy specifications are provided in full and supported by a Technical Note that details its measurement uncertainty, so you know exactly what you are getting. The Technical Note is available for download on the flukecal.com website. As with all Fluke Calibration instruments, these specifications are conservative, complete and dependable. Install up to two pressure modules in the 2271A chassis at one time, mixing and matching module classes and ranges to get the combination that best suits your needs. There is no limit to the number of modules that can be used with the system, allowing you to change pressure ranges on the fly to meet your needs. Modules snap in and out quickly and easily through the front of the 2271A; just slide each into a specially-designed track and tighten the knob until you hear it click into place. The click tells you the module is safely in place; a special anti-torque guard on the knob prevents over-tightening so you never have to wonder if you tightened it too much or not enough. Each module uses an enhanced face-seal design that has been leak tested to pressures three times higher than the maximum working pressure. You don’t have to worry about a leak in the system affecting your ability to measure and control pressure. Dual test ports on the top of the 2271A let you easily mount two devices under test (DUTs). You can potentially double your throughput without spending time searching for fittings and tees. 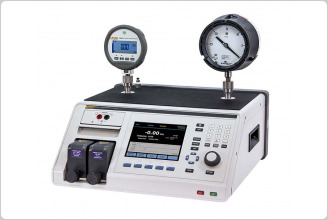 The vertical test ports let you easily connect analog dial gauges without the need for additional test stands or manifolds. Two test port types are supported, the standard HC20 or the P3000 test port. 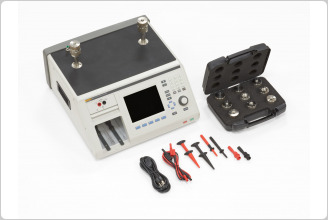 Both types of test ports enable you to make hand tight connections to traditional NPT, BSP, or metric pressure fittings. 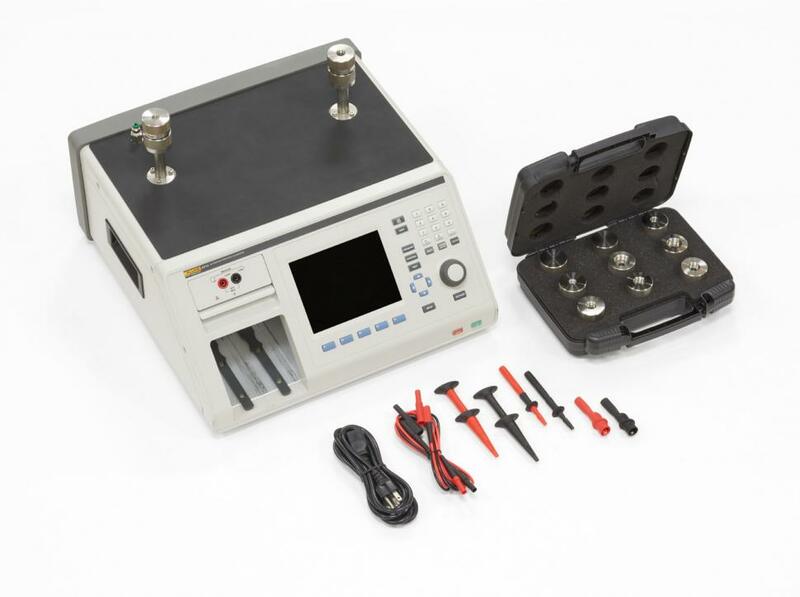 The HC20 test port includes easy grip features and integral support for M20 connections, whereas the P3000 style test port provides backwards compatibility for users of Fluke Calibration P3000 deadweight testers or P5500 pressure comparators. A reference port is also located on top of the 2271A for applications that require an atmospheric reference. Each measurement module, as well as the main chassis, has pressure relief valves to protect the instrument and its operators from accidental overpressure. The 2271A has been designed using Sound Engineering Practices (SEP). With the internal relief valves, user-settable pressure limits, and emergency abort button, safety is the highest priority. If your workload includes devices that contain different substances like water, oil and gas, you could be at risk for contamination—something getting into your system that isn’t supposed to be there. Contamination can clog a calibrator’s valves, wear out its parts, and make it difficult to maintain pressure. If the contamination gets into the sensor, it can actually change the calibrator’s behavior and throw off your readings. If contamination is a concern to you, order the optional Contamination Prevention System (CPS) to help keep the calibrator’s valves clean and free from debris. The CPS provides an unprecedented level of protection by maintaining uni-directional flow away from the controller, a gravity sump system, and a two-stage filtering system. Fluke Calibration COMPASS for Pressure software is designed specifically for pressure calibration. 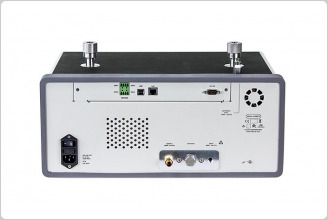 It enables you to automate the 2271A and run complete automated pressure testing calibration sequences on single or multiple devices under test. COMPASS software removes the unknowns often associated with getting automated systems online. The 2271A also features a full remote interface that enables you to use it with custom software or other data acquisition equipment. Details about the interface are provided in the 2271A User Manual. Reduce downtime and control your cost of ownership with a CarePlan. Fluke Calibration offers one-year, three-year and five-year Priority Gold CarePlans, which feature an annual standard or accredited calibration of your 6270A calibrator with guaranteed six-day in-house turnaround1 , plus free repairs with guaranteed ten-day in-house repair (includes calibration). One-year, three-year, and five-year Silver CarePlans are available for those customers who only want extended warranty coverage. Fluke Calibration’s testing, repair and calibration services are dedicated to filling your needs quickly and at a fair cost while maintaining the unmatched level of quality that is our trademark. Our pressure calibration laboratories are accreditedto ISO/IEC 17025. We maintain global calibration and repair facilities to help you keep your hardware in top working order. Relative Humidity Operating: <80 % to 30 °C, <70 % to 35 °C Storage: <95 %, non-condensing. A power stabilization period of four days may be required after extended storage at high temperature and humidity. Group 1: Equipment has intentionally generated and/or uses conductively-coupled radio frequency energy that is necessary for the internal function of the equipment itself. Class A: Equipment is suitable for use in all establishments other than domestic and those directly connected to a low-voltage power supply network that supplies buildings used for domestic purposes. There may be potential difficulties in ensuring electromagnetic compatibility in other environments due to conducted and radiated disturbances. Emissions that exceed the levels required by CISPR 11 can occur when the equipment is connected to a test object. 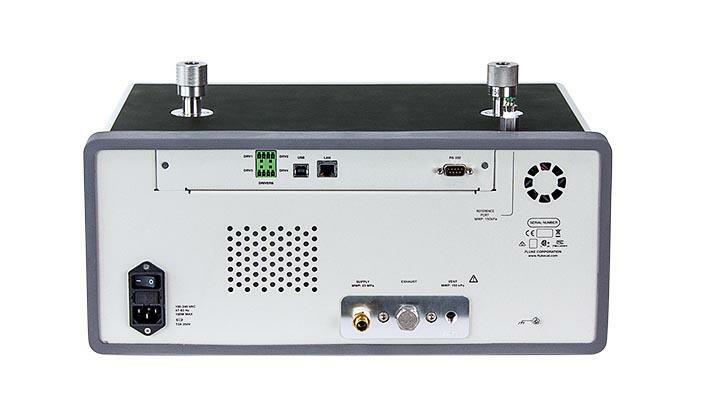 Korea (KCC) Class A Equipment (Industrial Broadcasting & Communication Equipment) Class A: Equipment meets requirements for industrial electromagnetic wave equipment and the seller or user should take notice of it. This equipment is intended for use in business environments and not to be used in homes. 24 V dc. 100 % duty cycle when turned, reducing to 40 % shortly after. To meet the control specifications, supply pressure should not be greater than 10 times the range of the measurement module. Control turndown is defined as the relationship between the provided supply pressure and the appropriate supply pressure for the range. For example, a unit with a 7 MPa (1000 psi) and 700 kPa range (100 psi) with a supply pressure of 7.7 MPa (1100 psi) provides control precision of 0.001 % range because 7 MPa is 10 times greater than 700 kPa. A system with ranges of 20 MPa (3000 psi) and 700 kPa (100 psi) with supply pressure of 22 MPa (3300 psi) will have 0.001 % range control precision on the 20 MPa range but only 0.003 % control precision on the 700 kPa range. Control precision of 0.001 % on the low range can be achievedby reducing the supply pressure. Typical settling time is the time required to be within 0.005 % of the setpoint for 10 % steps into volumes of 0 to 50 cm3 and pressures above 50 kPa (7.25 psi) absolute. Lower absolute pressures require longer settling times depending upon quality of the vacuum pump, diameter and material of tubing used, and test volume. Exhaust port relief valve is set to ~830 kPa (120 psi). Each Pressure Measurement Module (PMM) includes a module-specific pressure protection device. Exhaust gas will pass through the vacuum supply. Appropriate protections should be taken when operating at higher pressures.